We have seen that Divine Love (or God’s substance) is a vortex that is involving and evolving. And, we are told in the Word of God (or Bible) that man was created in the image and likeness of God. This essentially means the human organism is a very complex higher-dimensional vortex. This human vortex consists of three discrete levels (or dimensions). The human cerebellum/cerebrum is the focus of the nervous level. The human heart/lungs is the focus of the circulatory/respiratory level. The human stomach/liver/kidneys is the focus of the digestive level. 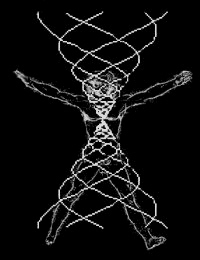 These three levels of the human vortex correspond to the Celestial, Spiritual and Natural Heavens respectively. By correspondence, spiritually, we ingest and digest affections, ideas and perceptions from the spiritual atmosphere. Understanding (rationality) and judging (conscience) are the means by which we can properly digest these spiritual perceptions. Loving or good (unselfish) affections should be digested while evil (selfish) affections should be evacuated by means of our will or heart (conscience). Righteous or Rational thoughts should be digested by our mind (understanding) while falsities and fantasies should be evacuated. Just like poisonous food and polluted air cause indigestion and asphyxiation on the natural level, negative emotions and irrational ideas can poison and destroy our spiritual body. In contrast, loving affections and Rational ideas are embedded within our spiritual body and enable it to grow and strengthen. 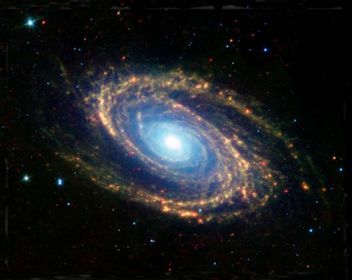 The universe is also a Divine-Human vortex where human souls are eventually ingested and digested. The day of judgment that we read about in the Bible is the day of our physical death. When we die physically, our physical senses are essentially turned off and our consciousness enters the spiritual world where everything we experience is in exact correspondence with our real loves and beliefs. But where we ultimately end up is dependent on the substance of our spiritual body. Righteous and loving human souls are digested and eventually embodied in the Divine-Human body (Heaven) while lustful and false human souls are evacuated into the dark realms of hell. Heaven is a harmonic higher-dimensional field that is continually enriched by new loving affections and intelligent thoughts from the creation of new angels from the human race. All memories contained in the hearts and minds of human beings can potentially increase the holiness and reality of Heaven. The harmonic waves of righteous souls interfere harmonically (resonate) with the vortex of Divine Love and increase its reality while the discordant waves of evil souls must necessarily be evacuated because they would interfere destructively. 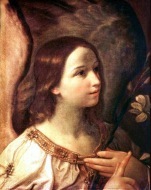 In fact, the function of angels is to maintain Heaven in a state of holiness by incorporating what is True and Good and evacuating what is false and evil. The toroidal vortex is a peculiar geometric structure that allows individuality as well as interconnectivity. 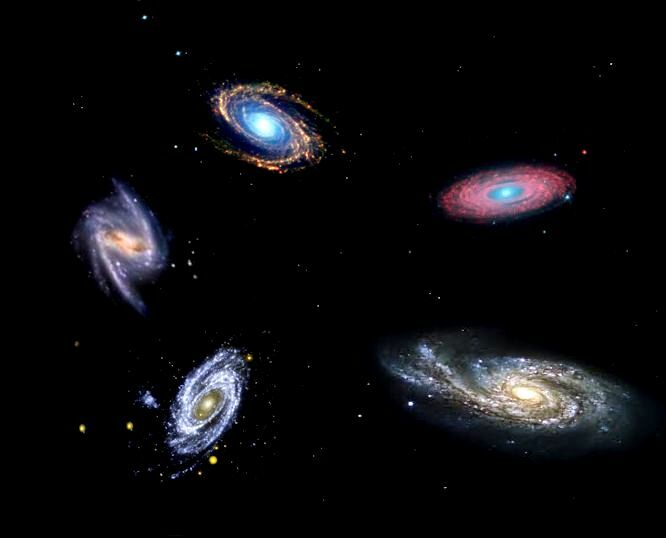 In the image above we can see how vortical galaxies can be discrete and separate and yet be interconnected in the fabric of higher-dimensional reality. And since human biological cells as well as human beings are also vortical organisms, they can also be unique, discrete and separate as well as interconnected in the higher-dimensonal Divine-human field of Love, Wisdom and Use. Thus, in higher dimensions, humans are interconnected and separated by spiritual spheres of affection and thought through sympathy and antipathy. From each individual there comes, or rather pours forth, a spiritual sphere due to the affections of his love; this surrounds him and enters into the natural sphere coming from the body, and they are linked together. It is commonly known in the world that there is a natural sphere continuously emanating from the body, not only from human beings, but also from animals, and indeed from trees, fruits, flowers, and also from metals. It is much the same in the spiritual world; but there the spheres which emanate from objects are spiritual. The spheres emanating from spirits and angels are more deeply spiritual, because they possess affections of love, and so inward perceptions and thoughts. This is the origin of every kind of sympathy or antipathy, and it is what links everything or holds it apart. Presence or absence in that world depends upon these spheres, for what is of the same nature and concordant causes presence and linking, but what is of different nature and discordant causes separation and absence. These spheres therefore are what create distance there. Certain people are also aware of the effects produced by these spiritual spheres in the natural world. The mutual inclination of married couples towards each other are from no other origin. Spheres of unanimity and concord unite, those of opposition and discord separate; for concordant spheres are pleasant and welcome, opposing and discordant ones unpleasant and unwelcome. I have heard from angels, who are able to perceive the spheres clearly, that there is not a single internal or external part of a person which is not renewing itself. It does this by dissolving and being replaced, and this is the source of the sphere which continually pours forth. They said that this sphere is packed closely around the person to the back and to the front, thinly at the back, but densely at the front. The sphere coming from the chest is linked with respiration. That is why a married couple who differ in disposition and disagree in their affections lie in bed turned away from each other, back to back. Conversely, those who agree in disposition and affections turn towards each other.